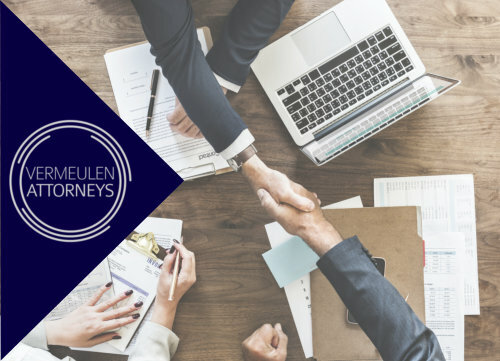 Too often attorneys get approached by an employer or employee who indicates that they are no longer satisfied with their working relationship. However, these parties usually do not want to end the relationship on bad terms and they are desirous of reaching an agreement which both parties are satisfied. WHAT IS A MUTUAL SEPERATION AGREEMENT (“MSA”)? A MSA is an agreement reached between an employer and employee, wherein both parties mutually agree that the employment relationship between the parties will be terminated. A MSA must always be in writing, be signed by both parties as well as 2 witnesses. CAN AN EMPLOYEE STILL REFER AN UNFAIR DISMISSAL DISPUTE TO THE CCMA? No. A MSA is valid and binding between the parties. This has been confirmed in the case of Gbenga-Oluwatoye v Reckitt Benckiser South Africa (Pty) Limited and Another (2016) 37 ILJ 2723 (CC). A MSA is signed by both parties and it is agreed that it is in full and final settlement of any dispute/s between the parties. This is a great advantage of the MSA. This means that the employee agrees that by signing the MSA all disputes have been settled between the employer and employee. It is very important for an employer to ensure that both the employer and the employee signs two copies of the MSA. This way, the employer and employee each retain an original copy, in the event that either party may require it in future. The employer and employee must ensure that they keep their respective copy of the signed MSA in a safe place. In the event, that the employee refers an unfair dismissal dispute to the CCMA, the employee will have to prove that the parties signed an MSA. Usually, the commissioner assigned to the matter will explain to the employee that the parties have already resolved any disputes and that the signed MSA is valid and binding. Suggesting an MSA to an employee can be the best solution, when the parties no longer want to continue with the employment relationship. However, when an employer proposes such MSA and the employee refuses to sign it the employer must be very careful how the situation is approached afterwards. If the employer decides to terminate the services of the employee, the employee may refer an unfair dismissal dispute to the CCMA. The employee will state that his dismissal was unfair as the employer previously provided him with a MSA that he refused to sign. A MSA is an alternative way of ending an employment relationship. Parties should be mindful of what a MSA entails and that it is valid and binding on both parties. If both parties agree to sign a MSA, the MSA should contain certain terms and conditions on how the employment relationship will be terminated.